DENVER – For a lame-duck U.S. senator, Democrat Mark Udall seems to be holding a royal flush. When it comes to a classified report on the Central Intelligence Agency’s use of torture, Udall can wield a lot of power, forcing even classified portions of the report into the spotlight. In the waning days of his congressional tenure – after losing a re-election bid to Republican U.S. Rep. Cory Gardner – Udall has little to lose. He can call bluffs around the U.S. Senate Select Committee on Intelligence’s negotiating table, of which he is a member. The power is a privilege of immunity afforded to federal elected officials. Udall is considering reading the full Intelligence Committee’s report into the congressional record, for which he would be protected by the U.S. Constitution’s Speech or Debate Clause. Udall has said that the report will “shock” the vast majority of Americans regarding interrogation techniques used by the CIA in the aftermath of the Sept. 11 terrorist attacks. A 600-page executive summary is expected to accompany the 6,300-page classified report. The summary could be released as early as Monday, said multiple sources. Sen. Dianne Feinstein, D-Calif., chairwoman of the Intelligence Committee, has been negotiating with the White House and the CIA over its release. While Feinstein had luck walking back several redactions asked for by intelligence officials, the report is expected to include several more. The extent of those redactions are not yet fully known to the public, but it could cause an outcry. 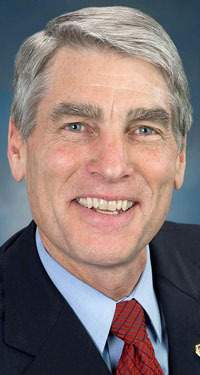 As the release of the report loomed large, Udall’s office told The Durango Herald on Thursday that the senator still is considering reading its contents into the congressional record. The provision that would protect Udall offers lawmakers almost full protection from prosecution when speaking on the floor of the U.S. House or Senate. Legal interpretations extend that immunity to classified information. Udall would be acting with precedent. In 1971, then-U.S. Sen. Mike Gravel of Alaska read the Pentagon Papers into the congressional record. The 4,100 pages showed that the government had lied to Congress and the public about the progress of the Vietnam War. Observers said reading the CIA torture report into the congressional record is about more than just creating a public record; it’s also about establishing Congress’ oversight of the CIA and overall transparency. “Transparency, culpability, responsibility, accountability – that’s all vital to a democracy,” said Tighe Barry, a Denver resident with the anti-war group CODEPINK. CODEPINK and other civil-liberties advocates delivered more than 165,000 signatures to Udall’s office Thursday, calling on him to read the report into the congressional record. Advocates point to a left-leaning Public Policy Polling survey earlier this year that found that 69 percent of Americans believe the report should be made public. “No government agency is going to go after Udall for revealing what the American public needs and has to know,” Barry said. “(President) Barack Obama allowed himself to get comfortable in a position where he can just say, ‘We’re looking forward.’ Well, you can’t look forward without cleaning your path before you,” Barry said. Udall always has been skeptical about the CIA’s involvement with the report. In April, he pressed the White House to limit the agency’s involvement in the study’s declassification. He called it a conflict of interest. “The CIA should not face its past with a redaction pen, and the White House must not allow it to do so,” Udall later said in August, pointing to strategically placed redactions. Obama has made it clear that he wants the summary to be declassified quickly. A White House official spoke only on background and did not comment on Udall possibly reading the full report into the congressional record. The offices for Udall’s replacement, Gardner, and U.S. Rep. Scott Tipton, R-Cortez, did not return requests for comment left by the Herald. Feinstein’s office declined to comment. In the meantime, observers will have to wait to see what Udall does before he leaves office by the end of the year.